My birthday is in about 4 weeks. I was thinking about having a Mardi Gras or Halloween party. My birthday is on October 29th. Which one should I do or what other themes? A Mardi Gras party is definitely a fun and colorful party to host and there are so many craft ideas, from beading to masks, that you can add to your activities. 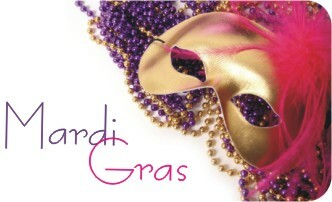 There is a Mardi Gras Party page on this site that includes printable invitations and party ideas. 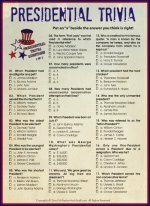 I also have a Mardi Gras Scavenger Hunt that I created last year, but didn't post online yet. It requires going around town, so if you have adults to help with your party, it might be doable. Baking a King Cake that has prizes hidden inside is so much fun. One cake I made included clues for a scavenger hunt. Another included pieces of a puzzle that the guests had to put together to find the location of a prize. I wrap prizes, clues, or puzzle pieces in tin foil to protect them during the baking process. My daughter is having a Mardi Gras party for her birthday next week. Could you please e-mail me the scavanger hunt list you have. I would love to do this at her party. Have you posted the scavenger hunt you mentioned?